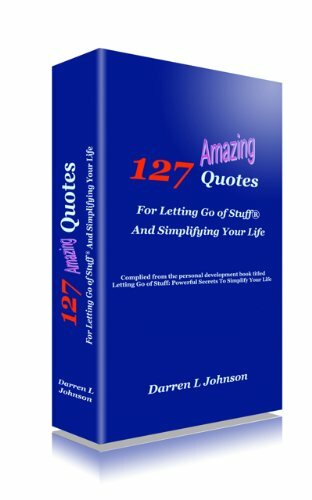 This entry was posted in Letting Go and tagged change, darren l johnson, fear, happiness, Letting Go, letting go of stuff. Bookmark the permalink. Having the desire for change and believing that it is good for you will open many doors! Learn to ‘bend’ and you won’t ‘break’! Go with the flow! Know that no matter how things appear, everything is going to work out for you! GREAT MESSAGE! HI ELisha. Welcome to the Letting Go Cafe. Thanks for your comment. Glad it was a message that resonated with you. the link is >>> HERE. @ELisha Vee. Here we are again E. About one year later and as you can see, the Letting Go Cafe is steadily growing. My goal is to teach every person on the planet the methods for letting go of stuff – on purpose. I wont’ stop until I have fulfilled my mission :-).